Posted in: Art, Music, Nature, Photography. Tagged: 19th century, Jacob C. Ward, Lady's Bridge, Landscape, National Academy of Design, Natural Bridge Virginia, Nelson-Atkins Museum of Art, Oil on panel, Richard Hawley. 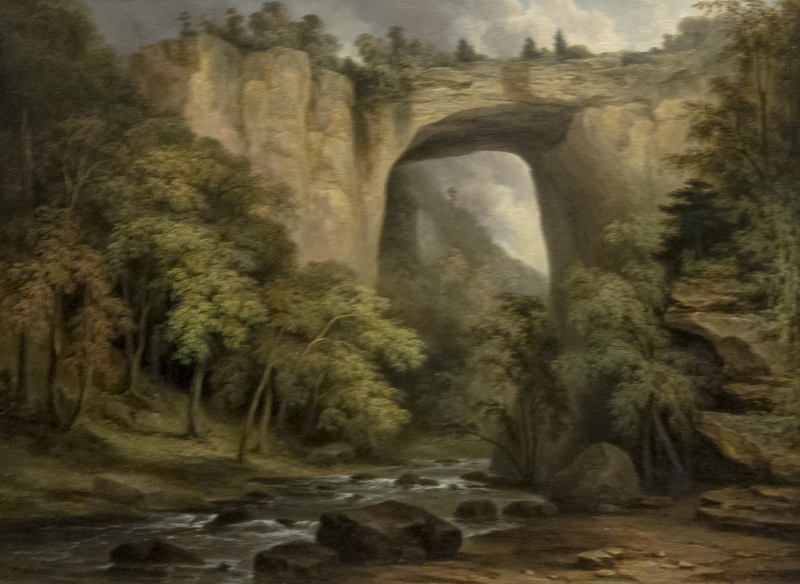 Jacob Ward painted the Natural Bridge in Virginia so that viewers gaze at the geological marvel from below. This low vantage point emphasizes the 200-foot height of the Bridge. Listed among the natural wonders of the world, the Natural Bridge was first owned by Thomas Jefferson, who received it from King George III in 1774. I looked this up on Google images. Interesting to see the differences and similarities. Yeah, I noticed that there’s some variety of images. Thanks for sharing this. There is a natural bridge near Tanglewood, Massachusetts too. Just visited last month.